REWIND– Images from the Archive. 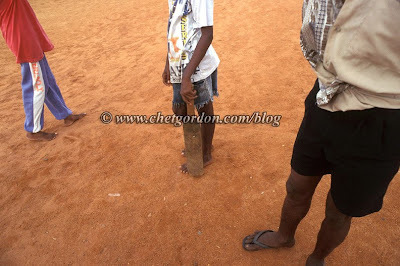 Cricket players along the Gall Face / Indian Ocean. Colombo, Sri Lanka. August 1997. REWIND – Images from the Archive. A showcase for some of my favorite images here on the blog that aren’t particularly in the working portfolio. Look for this occasional feature where I’ll highlight a single image that’s meant a lot throughout my career. Enjoy. -cg. This entry was posted on Tuesday, December 29th, 2009 at 4:38 PM. It is filed under REWIND and tagged with Colombo, cricket, REWIND, Sri Lanka. You can follow any responses to this entry through the RSS 2.0 feed.